Welcome to the premiere of Weird Biker Tales! And please welcome our newest artist, J. Travis Smith! 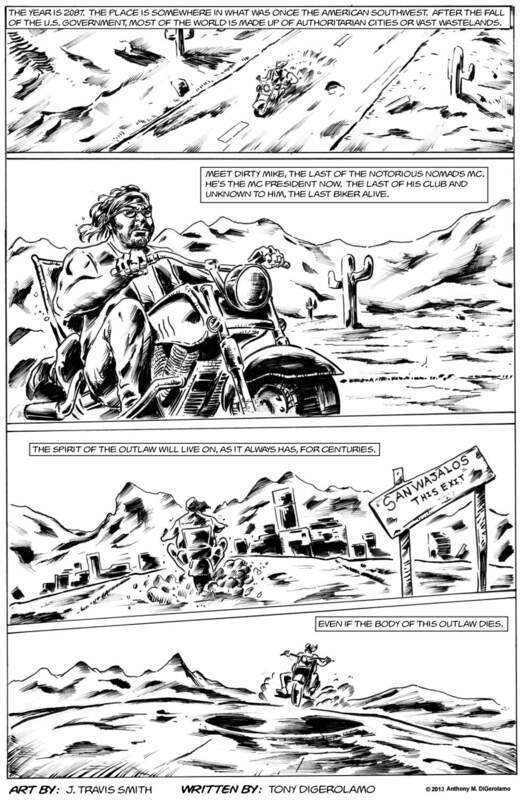 Weird Biker Tales is sort of like the Sons of Anarchy meets Tales from the Crypt. It will be a variety of stories featuring bikers and weird stories. This first story is about 22 pages, but future stories can be any length. If you’d like to skip to the second story, click here for That Bag of Crank. The Antiwar Comic: Die Television, Die!